Dr. Bayati was on-board the United Airlines flight 935 that required an emergency landing after hitting severe turbulence. Several people were injured including a flight attendant. 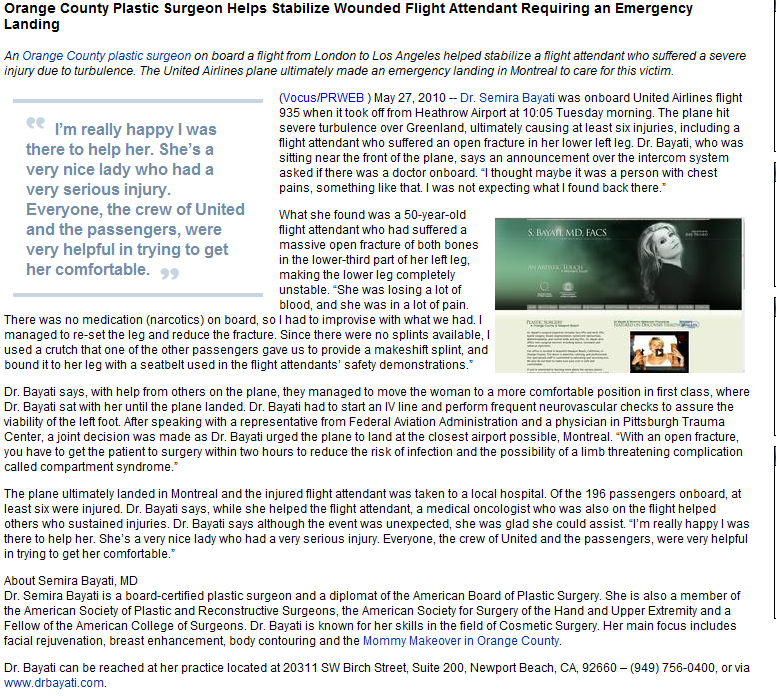 Luckily, Dr. Bayati was there to help stabilize the flight attendant who suffered an open fracture of her lower left leg. Click here to read about Dr. Bayati’s heroic response.